Chicago’s own Chance The Rapper released his long-awaited mixtape overnight, thereby bringing an end to our reporting on its release date. 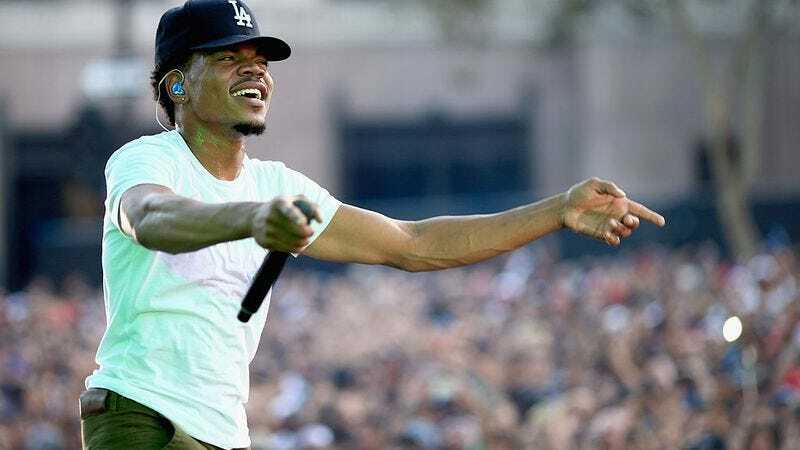 The follow-up to his soulful 2013 release Acid Rap, Coloring Book is Chance’s third official mixtape, and features collaborations with Kanye West, Lil Wayne, 2 Chainz, Justin Bieber, T-Pain, Young Thug, Jeremih, Jay Electronica, and Stephen Colbert. That last one shouldn’t come as much of a surprise, considering Chance joined Colbert on The Late Show to perform their song “Angels” just days after announcing it. We still don’t know what Colbert contributed to the track, because the guest verse is from fellow Chicago rapper Saba, who was also featured on Chance’s Acid Rap. Coloring Book is now available on Apple Music, and the complete track list is below.